The signature drumsticks of the driving force behind Genesis and Weather Report. 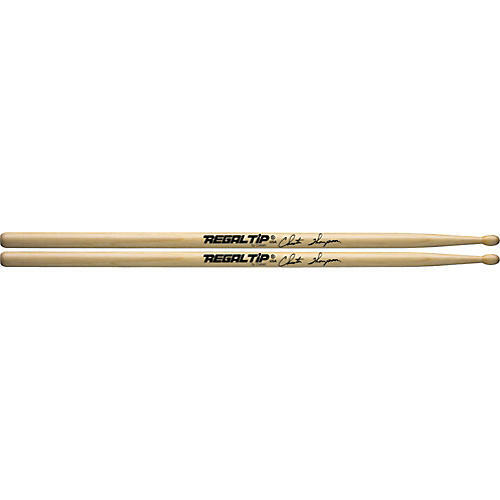 Chester Thompson Performer Series Drumsticks from Regal Tip are long enough for you to use your fingers, which are at the heart of control, power, and accuracy. When Chester was starting, someone told him that he could play faster with longer sticks and he believed them. It does work for him. The drumstick tip is larger because Chester found that with more wood coming in contact with the head, he could achieve more volume without using an uncomfortably large and heavy stick. Get more reach with extra-long Chester Thompson drumsticks. Order today.